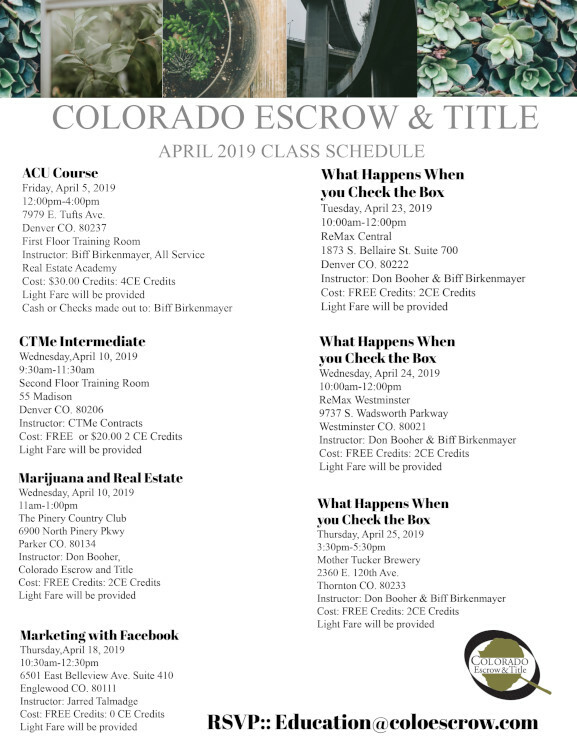 To register for a class, please send an email to: education@coloescrow.com. To view a complete list of educational opportunities, click here. Copyright©2016 Colorado Escrow and Title. All rights reserved.